Turn the valve handle of the charging hose counterclockwise until the piercing stem is in the up position. This will prevent accidental piercing of the R-134a can. Screw the charging hose onto the top of the R-134a can. Attach the quick-connect fitting to the low-side service port by pulling the connector ring back as you push the fitting on the service port. 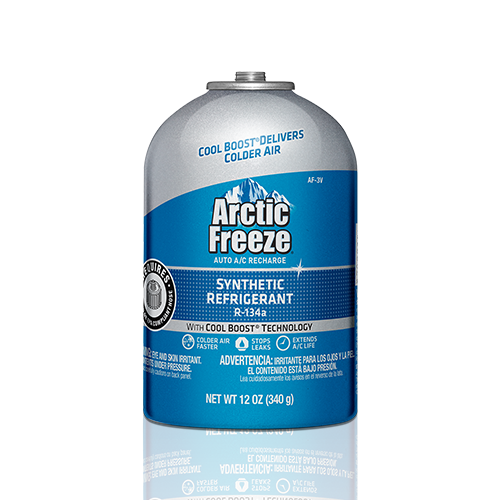 DO NOT connect to the high-side service port, as the refrigerant can may burst, resulting in serious injury. Start the engine. Turn the air conditioner to maximum cool. Turn the valve handle of the charging hose clockwise until the piercing stem has punctured the R-134a can. Turn the valve handle counterclockwise until you hear the refrigerant leaving the can. While charging, rotate can between 12 o'clock and 3 o'clock every two to three seconds while continually agitating (shaking) the can back and forth. 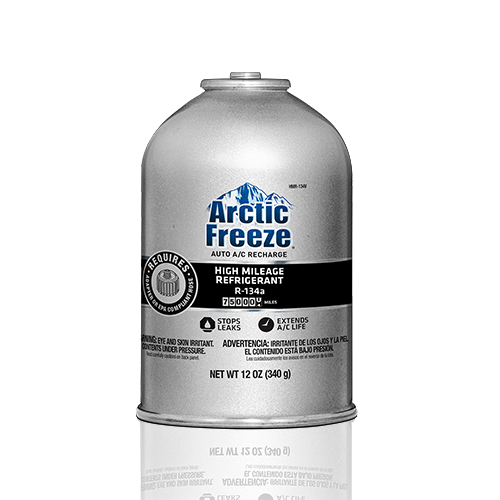 Continue this process until the can is empty (five to 15 minutes) or until the correct amount of refrigerant is charged into the A/C system. 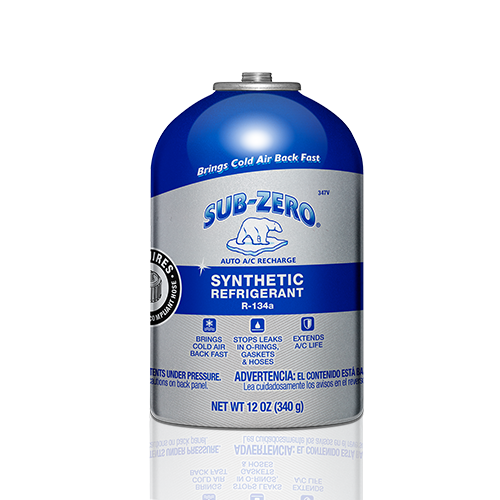 When the can feels empty, hold it upside down for one minute to remove all refrigerant and additives. Remove the quick-connect fitting from the low-side service port. Remove the can from the charging hose and discard. Always store the charging hose with the piercing valve in the up position, to prevent accidental piercing of the next can.